Just the other day, I came across a comment left by a reader that she found little difference between organic makeup and the usual makeup. I had agreed with her partially because I have come across some with ingredients that didn’t seem that much different. However, if we look at the more established organic makeup brands that are certified, there is a noticeable difference. So today, I thought I’ll put up some comparison between organic makeup, mineral makeup and the usual conventional makeup. For this purpose, I’m going to compare one product and that is the face powder. Mineral makeup is made from very fine micronized minerals and inorganic pigments that exist in nature and contains no chemical preservatives like mineral oil, dyes or fragrances found in traditional cosmetics. To understand what’s organic makeup, it is necessary to understand what’s natural makeup as there are often confusions between the two. Natural makeup is really makeup that are supposed to be made from pure and undiluted plant derivatives and contain literally no additives like mercury, alcohol, DEA, nitrosamines, alcohol, isopropyl and polyethylene glycol, and preservatives. 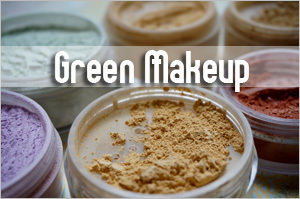 Organic makeup on the other hand, is natural makeup that are manufactured organically from plants of organic sources. These make-up products are manufactured from ingredients that do not have any synthetic relation or affiliation with any genetically modified organisms. 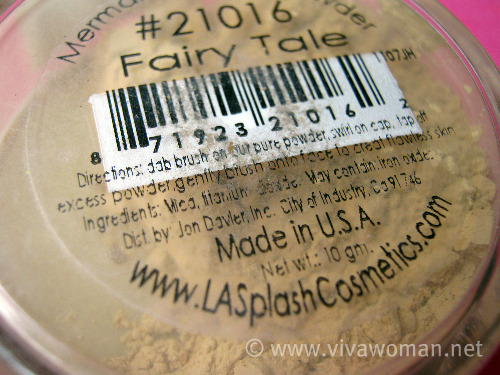 When a makeup is certified organic, they have to meet a strict organic certifying standard in all ingredients and processes, which prohibits them from using some ingredients found in natural products such as talc or unregulated or unsafe ingredients and/ or production methods non certified brands may employ (source). These brands may also be independently audited for quality. Bismuth Oxychloride, Boron Nitride, Kaolin Clay, Magnesium Stearate, Titanium Dioxide, Rice Starch, Sericite Mica, Talc, Zea Mays. As explained, organic makeup is natural makeup made from essential oils, plant extracts, vitamins and minerals. In addition, they contain no talc, no synthetics, no petro chemicals, no parabens, no genetically modified ingredients, no animal testing and are preservative free. 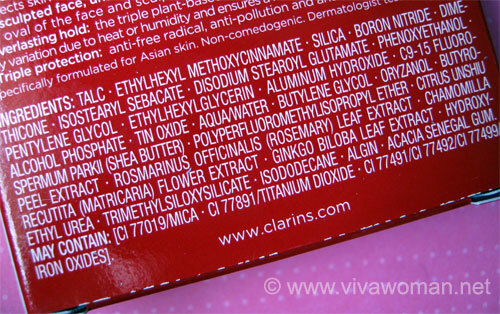 Here is the ingredient list for Zuii Organic Flora Foundation that I’ve used before. Ingredients of Zuii Organic Flora Foundation: Rose Damascena Buds, Jasmine Buds, Chamomile Flowers, Caprylic Capric Triglycerides, Magnesium Stearate, Kaolin, Tocopheryl, Ascorbyl Palmitate, Jojoba Oil, Aloe Vera, Chamomile Flower Extract, Horsetail Extract, Coltsfoot Flower Extract, Nettle Leaf Extract, St. Johns Wort Extract, may contain – CI 77007, CI 77491, CI 77492, CI 77499, CI 77289, CI 75470, CI 77947, CI 77019, CI 77891. Let’s look at another organic makeup foundation – Eco Nvey Organic Creme Deluxe Foundation – that is also certified organic and free of talc, paraben, preservatives, SLS, Propylene Glycol, GM, petroleum and nanotechnology based ingredients. Ingredients of Eco Nvey Organic Creme Deluxe Foundation: Carthamus Tinctorius (safflower oil), Caprylic Capric Triglyceride (coconut oil), Ricinus Communis (castor oil), Simmondsia Chinesis (jojoba oil), Cera Carnauba (palm wax), Cera Alba (natural beeswax), Candelilla Cera (candelilla plant wax), Tocopheryl Acetate (vitamin e), Ascoryl Palmitate (vitamin c), Daucus Carota (carrot oil), Lonicera Caprifolum Extract (honeysuckle), Origanum Vulgare Extract (wild marjoram), Thymus Vulgaris Extract (thyme), Cinnamomum Zeylanicum (cinnamon bark), Rosmariun Officinalis Extract (rosemary leaf), Lavandula Angustifolia Extract (lavender flower), Hydrastis Canadensis Root Extract (golden seal root). May Contain: Ci 77019 (mica); Ci 77491 (iron oxide); Ci 77492 (iron oxide); Ci 77499 (iron oxide); Ci 77007 (iron oxide); Ci 77891 (titanium dioxide). What’s in non-organic traditional makeup? Now, if you were to compare the ingredients between an organic foundation and a non-organic foundation, the differences are apparent. The picture you see here is from Clarin’s Hydra-Luminous Flowless Powder Foundation. 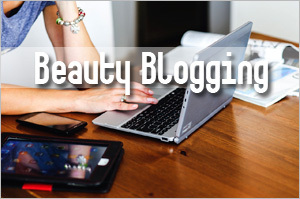 A lot of what you can’t find in mineral and organic makeup are found here. Although non-organic traditional makeup contains botanical extracts, they also contain plenty of alcohol, preservatives and silicones. Here’s another ingredient list from Shiseido Sheer Matifying Compact Foundation for comparison. Talc is always listed as the first ingredient. Ingredients of Shiseido Sheer Matifying Compact Foundation: Talc, Synthetic Fluorphlogopite, Vinyl Dimethicone / Methicone Silsesquioxane Crosspolymer, Barium Sulfate, Diphenylsiloxy Phenyl Trimethicone, Silica, Methyl Methacrylate Crosspolymer, Dimethylenecyclohexane Bis-Hydroxystearamide, Cetyl Ethylhexanoate, Diphenyl Dimethicone/Vinyl Diphenyl Dimethicone / Silsesquioxane, Crosspolymer, Hexamethylene Bis-Hydroxystearamide, Diisostearyl Malate, Nylon-12, Peg/Ppg-36/41 Dimethyl Ether, Polysilicone-2, Sorbitan Sesquiisostearate, Dimethicone, Aluminum Hydroxide, Aluminum Distearate, Dimethicone/Methicone Copolymer, Methicone, Tocopherol, Dipentaerythrityl Hexahydroxystearate, Bht, Tetradecene, Chlorphenesin, Zinc Oxide, Iron Oxides, Mica. 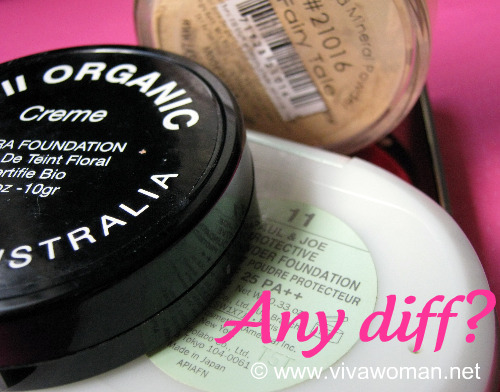 There is a difference between organic makeup and non-organic makeup. Authentic organic makeup should be free of harsh chemicals, synthetic preservatives, parabens, synthetic colors, and fragrances. In addition, they should not use genetically modified ingredients and should be 100% cruelty free and not tested on animals. They may or may not be of a vegan formulation. So if you’re on the lookout for organic makeup, you have to read the ingredient list. If not, at least look out for those that carry proper certification from USDA, Ecocert or some other established organic certification bodies. In terms of quality and coverage, I have not tested enough to conclude. I guess it depends on the formulation although those that I’ve tried seem to work quite well. One thing that deters me from trying is the price point because if they’re certified organic, chances are, they’re cost more and their shelf life is shorter. Hence, this is one reason I’m still using conventional makeup because most of them cost lesser, perform well and last longer. Yes, some of the ingredients like the silicones and alcohol do irk me and that’s why I don’t bother to read the ingredient list when I purchase them. I just console myself that they’re doing less harm on my skin since they’re sitting on top of my oil and sunscreen. HEH. Is mineral makeup too drying? Toners: Is there a difference? 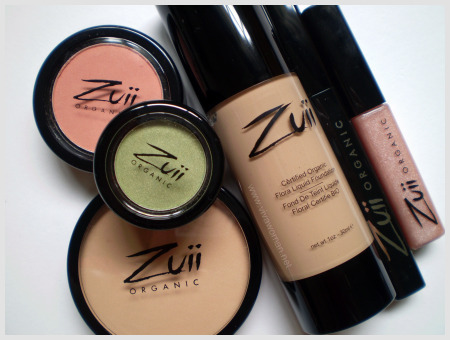 Review of Zuii Organic Floral Green Makeup Range Any difference between moisturizing and hydrating? Previous Post: « Share: what’s your favorite eye cream or gel? Grate info Sesame! I never was actually deeply thinking about difference between chemical and organic make-up, I just knew that one is dangerous and the other one is safe. Thank you for the explanation! Again, “chemical” is not necessarily harmful and “organic” is not necessarily safe. 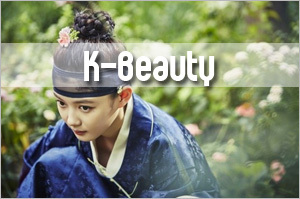 The positioning of these two “types” of cosmetics or skincare is a “false dichotomy”. Everything on this earth is composed of chemicals. Your “organic” make-up is composed of chemicals. Our bodies are full of chemicals. It is simply not true that chemicals are dangerous; otherwise we would be dead by now because we are constantly manufacturing chemicals in our bodies (stomach acids; hormones; etc). The important thing here is the formulation. Most of the “chemicals” you see on the labels have been vigorously tested. In some countries, there are also strict rules on the use of these chemicals. For instance, alpha hydroxy acids at certain % is okay for general use, but at 99% it would be crazy to apply to your face. In any case, I don’t see why chemicals must be opposed to organic. Many “chemical” ingredients are organic in nature. Some AHAs are derived from milk; even the much criticised petroleum jelly is organic. Don’t you know? Petrol is formed from plant and animal matter! You can’t get more organic than that! Glad you find this useful. I tend to agree with Eveline though that the conventional makeup isn’t exactly dangerous. They’re always said to be harmful but personally, I avoid them not so much for health reasons. I just have an issue with some of the ingredients and how they can harm the skin in the long term like alcohol being drying and those silicones forming a coat on the skin. Thank you Vivawoman for pointing out the difference between makeup types, because many are still confused about that. This post did a good job of explaining the differences. The only thing that stands out to me in this article is the assertion that consumers should “look out for those that carry proper certification from USDA”. Consumers will likely never find that because makeup gets its color from mineral pigments (which aren’t organic – because they aren’t grown or a food) and if the product is less than 95% organic, you won’t see the USDA Certified Organic seal on it. I’d also like to address Eveline’s comment. I agree with 99% of her comment with regards to the scare tactics others use when they throw around the word “chemicals” in regards to makeup. She’s absolutely right – everything is a chemical and it irritates me when used as if all chemicals are bad. But…I absolutely disagree with her statement: “even the much criticised petroleum jelly is organic” and “You canâ€™t get more organic than that!”. I almost fell out of my chair. I can understand how one might believe that, but it is simply inaccurate. Just because something is derived from a plant, doesn’t mean its organic. It doesn’t even mean it’s natural. Thank you Stancie. 🙂 USDA certification is hard to achieve but the reason I brought it up is because I saw it on Zuii Organics’ website. Note sure if their full range is certified under it but going by what you have highlighted, probably only certain products that do not contain colored minerals. I do not see what is inaccurate about my statement about petroleum. It is irrefutable that petroleum is formed via a naturally occurring process, from plant and animal matter. 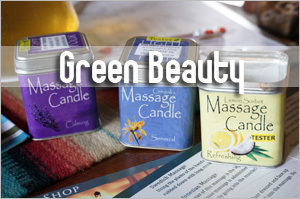 By definition any matter that is formed from living products and contains carbon is organic. That’s “organic” from a chemistry sense. There is absolutely no argument about that. But the question here is really what constitutes “organic”. Where agriculture is concerned, it’s possible to establish some clear guidelines on that but not so when it comes to body products. When you refine your organic raw materials, add preservatives, add “natural flavours”, and somehow modify your ingredients to make the final product safe for transportation and final use for consumers, you can get an organic label (because the ingredients had an organic origin) but does that final product look organic to you? When something is labelled organic, can you guarantee that you will not have any adverse reaction to it? If I’m allergic to say lavender, it doesn’t matter that the lavender skin lotion is labelled organic. I’m still going to get a reaction from it. People buy “organic soap” thinking it’s “all natural, no chemicals”. But soap by definition requires a strong alkali for saponification, usually lye. And lye (NaOH) is definitely a chemical, and an extremely corrosive one. So, what? The term “organic” is so loaded with meaning that I don’t think we know exactly what it means anymore. As far as I am concerned, “organic skincare” is a totally meaningless term that I disregard in my shopping. 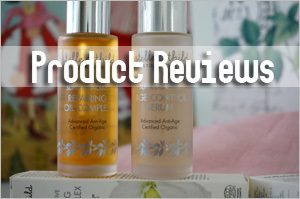 If a product’s formulation is good, that’s a good product for me whether or not it is organic. While I do try to look out for organic skin care as far as possible, I agree that there’s a lot of marketing hype to the word. Like you mentioned, organic ingredients can cause irritation and I agree too. It is also useless to me if the product is selling on the basis of organic ingredients that does nothing for my skin. 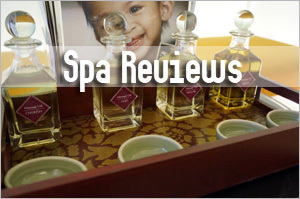 At the end of the day, choosing organic skin care or cosmetics is more of a personal choice. I prefer to look at the ingredient list. 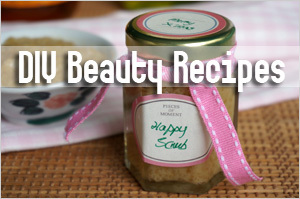 My concerns with ingredients do not stem from a health perspective but more of how they benefit the skin. I prefer natural formulations without too many chemical additives as far as possible – such as SLS, alcohol denat, mineral oil and silicones because I find them harmful to the skin in the long run. Organic would be a bonus but I’m also not too willing to pay an arm just for that label. I think you are getting lost in terminology and half truths. Just because something is organic and occurs naturally in nature doesn’t mean its safe. Anything that is Organic and poisonous/toxic isn’t going to be allowed in Organic products because well it defeats the purpose. Organic soaps can not contain lye and still be considered Organic. Also have an allergy is just having an allergy–people are having adverse reactions to regular cosmetics because its unsafe and bad for the skin. There is a clear difference you just need to research more and find accurate information. Try not to read things that are paid for by GMO companies or the media or even look at articles written by people from different countries and cultures. just to clarify–they may call it organic soap but in order for soap to be considered organic 95% of all its ingredients has to be organic. Lye is considered in the other 5% its basically a lie. Umm anyone claiming 100% organic soap is a liar unless its 100% lye free in which case its normally not technically soap. I had ever used Nvey Eco Organic Moisturizing Liquid Foundation bought from Sephora Singapore. I must say this is the only foundation that does not cause rashes to develop on my skin. 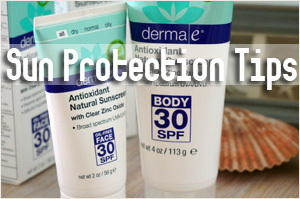 Even those from Clinique that does not contain SPF irritates my skin after long-term usage. Oh that sounds good. I’ve been eyeing their foundation powder but hesitated cos not sure how they’ll work. Don’t you find it a bit irking that the USDA will certify cosmetics as organic but the FDA won’t regulate them? Very good point. I feel the same but I’m guessing FDA has their hands full and can’t regulate. @Courtney Th FDA isn’t going to approve something that will contradict their opinions…it comes down to opinion. Think of it this way in the US we only have a few chemicals that are non-FDA certified for cosmetics. In the UK they have hundreds and a lot of the chemicals that are considers safe here are not considered safe in other countries. 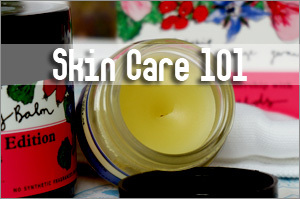 1) Skin care is no different than food. Because skin is an organ, skin cells are much like all other cells in the human body. 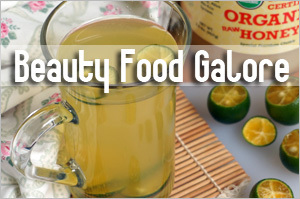 What’s good for the organs and cells inside the body is good for the skin. So while eating Cheetos and drinking Coke all day isn’t technically going to kill you, you’ll be awfully malnourished and hardly as healthy as the personal eating salads and drinking water. So yeah, you can apply petroleum jelly and polymers on your face and body and it may not be the worst thing ever. But your skin simply won’t be as healthy as if you use products with ingredients that feed the skin and – more importantly, especially with regard to makeup – allow the skin to breathe. Too many of us have developed what I call “turtle syndrome,” convinced our skin is somehow a shell, rather than a living organ, directed connected to, and functioning much like, all of the others. 2) Rather than get caught up in “organic” when it comes to makeup in particular, I think in terms of what’s good for the skin. Minerals in makeup (including talc, which I think is way over-demonized, given the little research showing its harm, unless you work in a talc factory) are too large to penetrate the skin. So don’t breathe it in, or you could also use only liquid or stick forms of makeup. But it’s the other ingredients, like Synthetic fragrance, an obvious common irritant (it’s believed that 1 out of 6 people will be allergic to most synthetic fragrance within the next 10 years); petroleum, petrolatum, polymers, because these create a barrier between the skin and the air. Be especially concerned when makeup is “waterproof.” Think about what that waterproof seal is doing to your skin’s ability to access air and other nutrients…and to let them out, which is the skin’s primary function; propylene glycol, which is a penetration enhancer and helps other chemicals, including those you don’t want going deeper, to get father into the skin and, thus, more likely to get into the blood stream. It’s about thinking, not about fear or dogma. It’s a personal choice, sure, but not an inconsequential one. Thank you Terri for your inputs. They’re very useful! I like what you say about the turtle syndrome because it’s true, many of us forget that our skin is a living organ. It’s true that we should be concerned about “sealing” our skin and causing the skin to choke. That’s when problems arises most of the time. I’m have to stop and say lol some things in this article here are not really correct and some of the comments are misconstrued. -Organic is healthier–this isn’t imaginary mumbo jumbo this has been proven by science and is a fact. Its covered up a lot because food companies, like Monsanto, lose money. -Fragrance=Cancer. ( is a trade secret and a FACT) Fragrances (unless made from herbs) are made from thousands and thousands of harmful chemicals that can cause cancer. Will it happen right away, no, however if you add up all the small amount of this carcinogen and that poison like splenda–its a poison– over long periods of time the body becomes weaker and sicker and less likely to be able to fight off disease because it has built up muscles and blood that’s been tainted with unnatural/ inorganic harmful chemicals–anyone notice how much sicker people have become? How over developed adolescent girls are due to GMO food? -The human body is AMAZING! The human body can filter out and get rid of toxins at an amazing level. Just because you consume, ingest, or are exposed to harmful chemicals (because we are talking about harmful chemicals) doesn’t mean that you are just gonna fall over and die. -Natural: Wasnt made in a lab however and this is a HUGE however, Natural anything CAN be made from GMO seeds and still be considered natural in the US. Natural is like Russian roulette you dont really know what you are getting. 100% Organic: Has not been tainted in any unnatural or inorganic way but it can be processed for example let’s say that you wanted a particular oil to be whitened it can be processed by putting an organic non toxic white veggie powder in it, its not unnatural and nothing diminished the power of the herbs/ organic/natural chemicals or substance or food. Thanks for your comments and your expert views. Perhaps you can point us to some existing makeup that is 100% organic because the focus here is on makeup and not in the general sense about organic products. Also, we have to look at what’s available out in the market or how are we going to look at the differences? Perhaps there are some makeup that is truly organic in a meaningful way. LOL.